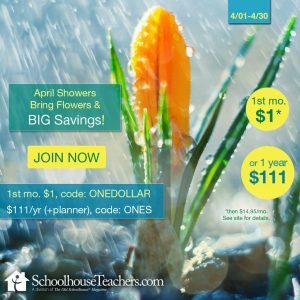 There are so many wonderful homeschool resources available online these days – printable unit studies, reading lists, writing prompts, coloring pages, and so much more. These printable resources are only helpful though, if you can find them when you need them. 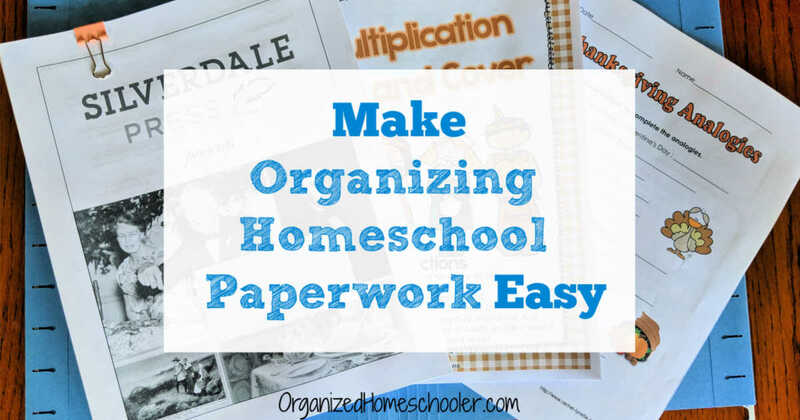 Thankfully, I have a way to make organizing homeschool paperwork easy. 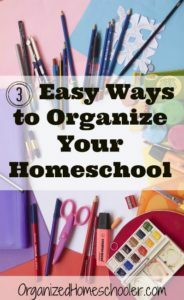 Storing everything in a digital file is one option, but I tend to forget about all of the awesome homeschool ideas if they are out of sight. I need my homeschool paperwork in a place that I will see every time I sit down to write lesson plans. 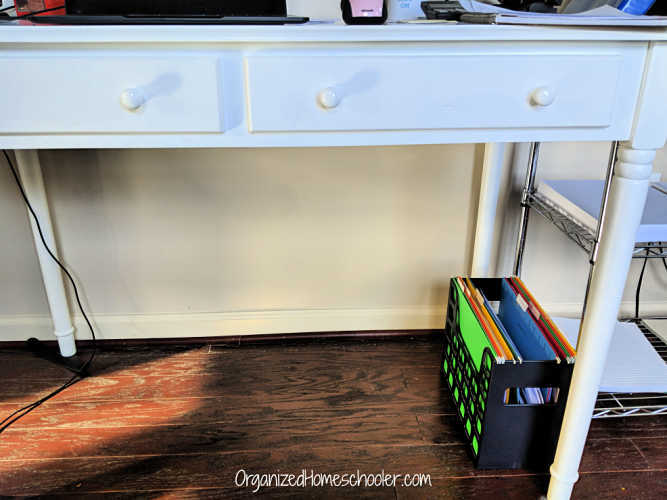 A simple small filing box makes organizing homeschool paperwork quick and painless. I like this filing box so much that I have two – one for household stuff (bills, receipts, insurance paperwork, etc.) 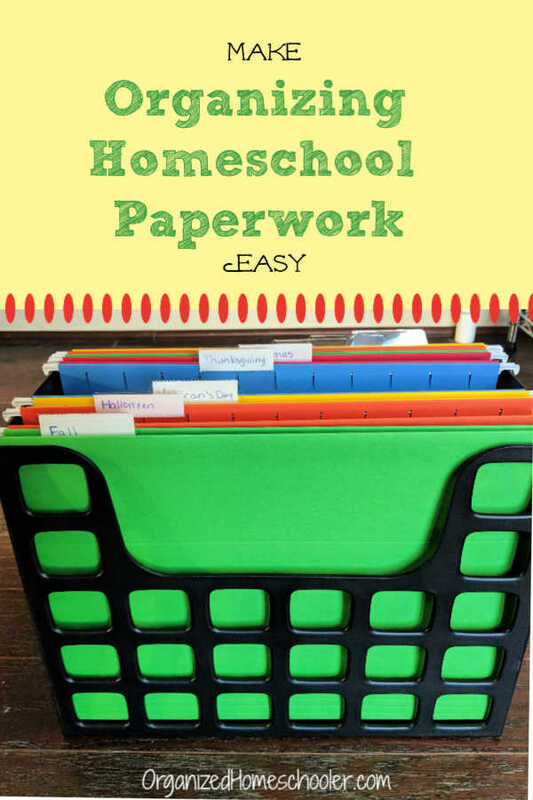 and another for organizing homeschool paperwork. Different colored file folders makes it easy to quickly tell these boxes apart. This is my favorite filing box because the size is perfect – not so big that it takes up a lot of room, but still has plenty of space for lots of unit studies. I have a generic folder for each season as well as a folder for each holiday. For example, I have a fall folder as well as Halloween, Veteran’s Day, and Thanksgiving. File the paperwork as soon as you print it. Do not set it down first! Filing it immediately will prevent the paperwork from being lost. 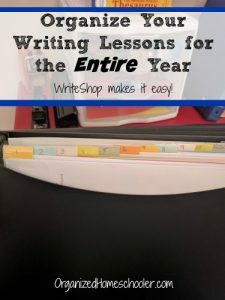 I fill my folders with anything that might help me either teach the holiday or can be a fun addition to a boredom busting basket. I’m sure I will add to it as I come across great resources throughout the season. One key to organization is that everything needs to have a home – a specific place where you know it will be. Keep the filing box close to where it will be used. In my home this means my filing box lives under my desk. This keeps it near my printer and my lesson plan binder. It is convenient to pull it out when I sit down to lesson plan. Sure, I could stick it in a closet, but out of sight is out of mind for me. 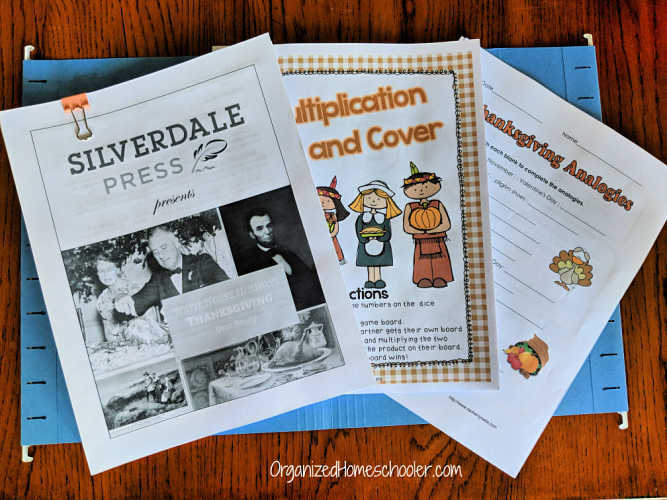 Organizing homeschool paperwork does not need to be difficult. Sometimes the simplest solution is the best. 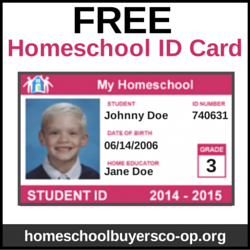 Share this post so everyone can organize their unit studies and homeschool lesson plan ideas.